Pair up with this blush wrap ring! 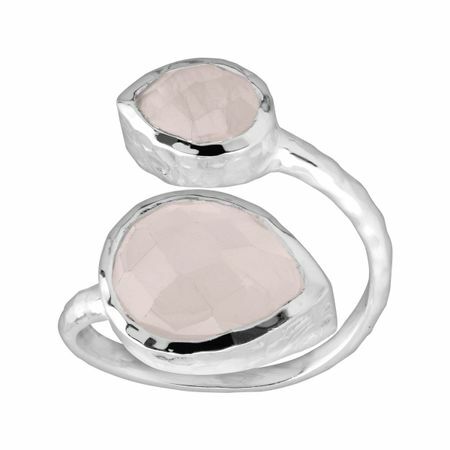 Pear-cut natural rose quartz is set in hammered sterling silver - a match made in style heaven. Ring face measures 13/16 inches in width. Piece comes with a “.925” sterling silver stamp as a symbol of guaranteed product quality.